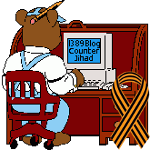 conservative — 1389 Blog - Counterjihad! Jim Jatras: I Stand with America. I Stand with Trump. Canadians: Sun News needs your help! Just Because Liberals Are Always Wrong Doesn’t Mean Conservatives Are Always Right!